It’s always interesting to see how a well known villain can be recast as the (somewhat) heroic protagonist of their own title, and this comic achieves that admirably. 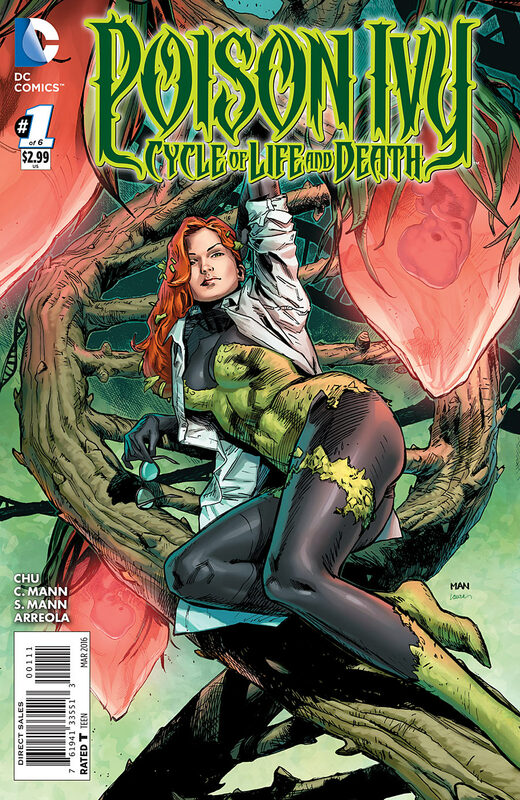 To gloss over the plot, Dr Pamela Isley has turned her back on her life of crime and is seeking to go straight, indulging her interest in botany, biology and genetics in academic, rather than Machiavellian ways – a decision which doesn’t sit overly well with her erstwhile partner in crime, Harley. That’s not to say that she’s adverse to causing a little damage, and Ivy’s trademark abilities and disdain for the petty concerns of mere humans are displayed on more than one occasion, reminding us that while she might not be the wanton hellraiser of old, Ivy is still no mere wallflower. In the end, her ‘second chance’ at an academic career is the fulcrum for the plot arc which will surely define this series as Ivy is given ample motivation to unleash the thornier parts of her character. The plot is solid, compelling and re-introduces Ivy in a way that makes her an intriguing protagonist, breaking old associations and establishing new motivations. The artwork is lovely, with flowing lines and bright colours, very much in fitting with Ivy’s character and making the strip a joy to read. All in all, this is a splendid comic to start a new character arc, an excellent jumping on point for Ivy as a character and it certainly does it’s job of making me interested to see what happens next. Colourful, compelling and a neat twist on a classic character.